Blurb Mass data storage unit. 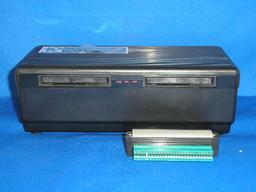 Dual 128K drives. Centronics & RS232 ports. Notes Came with Spectral Writer in the package.